The Cleveland Cavaliers' Kevin Love will reportedly miss Game Seven of the Eastern Conference Finals against the Boston Celtics, per Yahoo''s Shams Charania. Sources: Cleveland All-Star Kevin Love will miss Game 7 against Boston in East Finals on Sunday and is in the NBA’s concussion protocol. 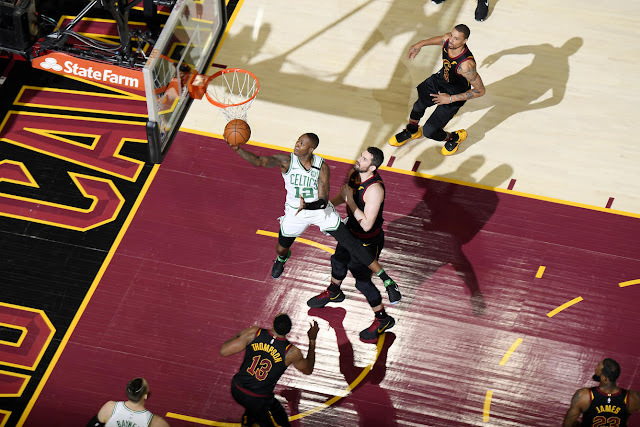 Love, who inadvertently knocked heads with Boston's Jayson Tatum a little less than seven minutes into Game Six, left the game after collapsing to the court after the game, and did not return. The Cavaliers hoped he might recover enough to avoid the NBA's concussion protocol by this morning, but evidently has not progressed in terms of symptoms. Given the big man's history with concussions, it's probably the wisest course of action. While the impact itself may not have looked especially brutal, concussions are a unique injury because of the brain's involvement, and severely debilitating symptoms can linger for weeks, months, and - rarely - lifetimes if not properly treated, symptoms which can threaten NBA careers. While Cleveland should be pushing for any advantage it can create, it should go without saying that player health and safety should always be paramount. Get well soon, Kevin - and stay away from knuckle push-ups while you recover.